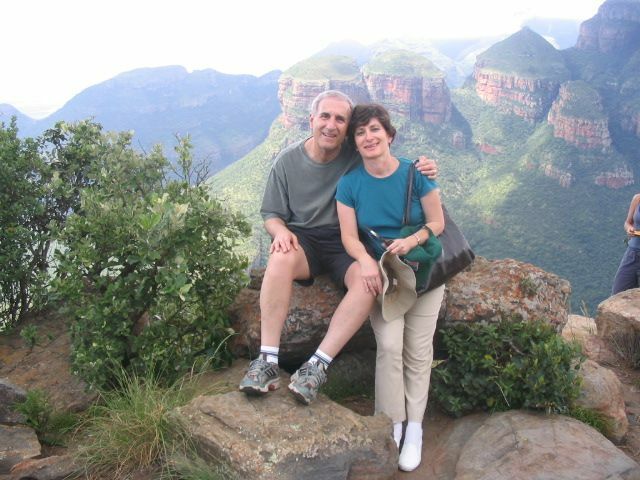 Recently, one of our travelers, Carol, shared this heartwarming personal account of an experience she had in South Africa. Memories like this stay with us forever and illustrate the transformative impact that traveling the world can have on each and every one of us. Here at Friendly Planet we are humbled to play a small role Carol’s experience! My Dad was an animal lover. He was a banker in real life, but his true passion was animals and making things. He trained homing pigeons during the Second World War. He milked rattlesnakes for their venom to make vaccines. He raised parakeets, nursed and brought back to life numerous wild creatures over the years. He was always coming home with some critters that he found like the tiny barred owl that fell out of its nest, a beautiful greyhound dog named Tala that was abandoned after the dog races were over, and an injured and very anxious seagull that was hit by a car–left on the side of the road. Then there was the good-sized painted turtle he found walking across the road while on a trip in Williamsburg, Virginia. There was just a never-ending parade of animals always seeming to be processing through our home. My Mother supported all of this animal love, which was pretty amazing considering she was a nurse and liked everything clean and tidy. 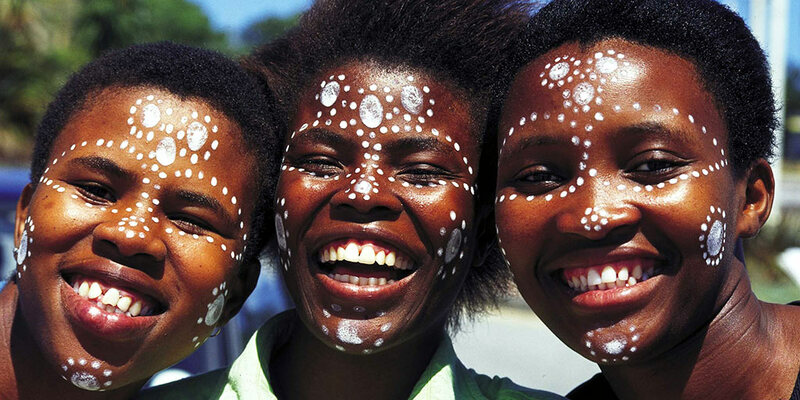 South Africa is a truly exceptional travel destination. 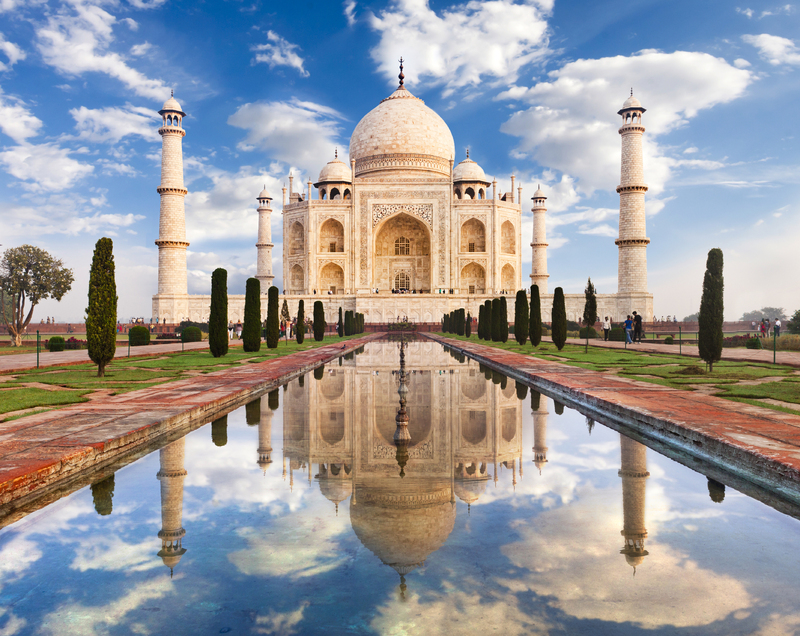 Few places on earth offer such an alluring variety of gorgeous scenery, historical relevance, modern cities, and world-class wildlife viewing. And we’ve found that while words can begin to describe the thrill of tracking game in a private reserve, or the peaceful moment at dusk as the setting sun silhouettes Table Mountain on a purple sky, it’s pictures that ultimately do the country justice (and visiting too!). If you’re looking for something to jump start your South Africa wanderlust, look no further! Ready for your own South African adventure? We have South Africa tours for any style and budget. Join us! First time to South Africa? Expect the unexpected. If you are heading to South Africa for the first time, consider yourself warned. Expect to be blown away. Expect to have your soul stirred. And expect to have your expectations shattered and rearranged beyond your imagination. Here are seven experiences I wasn’t expecting on my visit to South Africa. Though there are 11 official languages recognized in South Africa, hundreds more are spoken by its people, most of whom speak more than one language. Visitors will most often encounter English, yet it is spoken by fewer than 10% of the population. Make it a point to ask the people you meet along your travels about the languages they speak and you will be surprised, and even heart-warmed, by the efforts of many who are learning a new language to better be able to speak to more of their brothers and sisters. Pay attention. You never know when your hotel receptionist might effortlessly switch from English to Zulu, or when the guide and ranger team on your safari might share stories about how they are teaching each other’s families English and Xhosa (respectively). You’ll also quickly realize that though English is often spoken, South Africans have a wide array of slang words that will confuse Americans. To brush up on your South African slang, check out this post of terms compiled by our own Product Development Manager, who was born in South Africa. Find out who’s going on a free trip to South Africa! It might be Monday, but I was excited to come into work today. 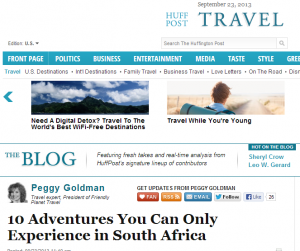 That’s because I got to let one lucky traveler know that she’s going on a free trip to South Africa, on us! It’s been a blast to read your comments on our Facebook page about how much you love South Africa, and I’m sad to see our sweepstakes come to an end — I wish you all could win! And hopefully, some of you who have gotten a chance to learn more about this great destination will be motivated to join us on tour, even if it’s not for free. Congratulations, Mary! I know you and your guest will have an amazing time taking in the beauty, majesty, and adventure of South Africa. Take lots of pictures for us, and we hope you’ll share your South Africa story on the blog upon your return. But hold on, travelers. If you didn’t win this prize, don’t lose hope! We have a very special announcement that we’ll reveal tomorrow. You never know — we just might be giving away another trip! Come back tomorrow to find out. To everyone who loves travel, exploring local cuisine is one of the best aspects of visiting a new place. And as we’ve been covering all things South Africa because we’re giving away a free trip for two to this fascinating locale on our Facebook page (now closed), we couldn’t help bringing you our take on the “hit list” of South African foods in this installment of our South African Explorer Series. South Africa’s cuisine has Malay, Dutch, French, British, Indian and Eastern European influences, which, when combined with locally available food, results in a unique assortment of tasty treats. Here are seven of the most popular and delicious foods available in South Africa. 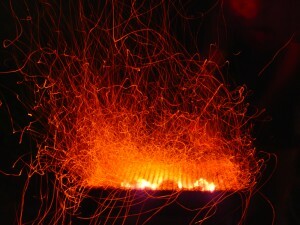 Braai (Pronounced as in “rye”). The most popular type of food in South Africa is braai, which is Afrikaans for “barbecue” or “grill.” It also refers to the social custom of gathering friends and family over for a pot-luck style meal that focuses mainly on barbequed meat. 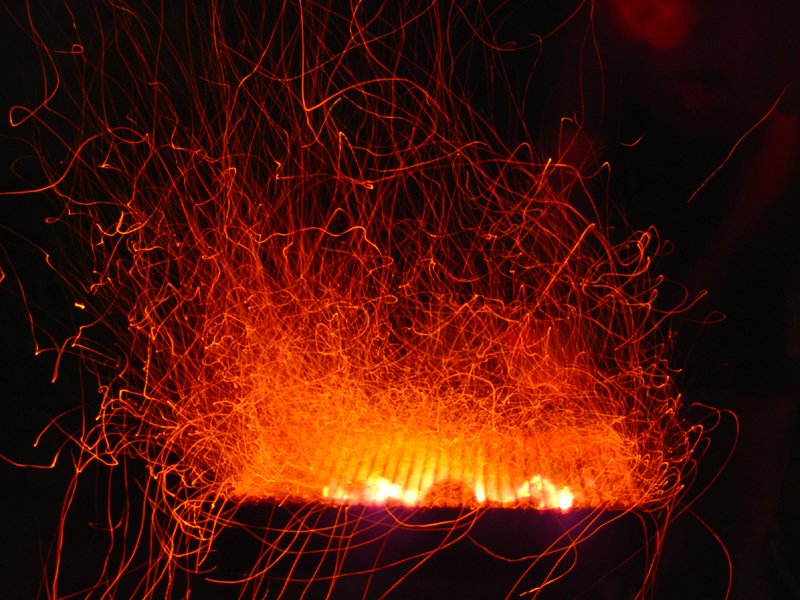 Chicken, pork, beef, lamb, mutton, or “boerewors” (see below) is prepared over an open flame made with wood, charcoal, or briquettes, although using gas has also become more common in recent years. Braai is often served with pap, a thick type of porridge, along with various sauces, such as Mrs H.S. Ball’s Chutney, a bottled chutney sauce brand that is wildly popular with South Africans. In South Africa, “ketchup” as we know it is referred to as “tomato sauce.” Chutney is used by many South Africans the way Americans use ketchup. Braai is a very important social custom in South Africa. It’s how locals celebrate Christmas, birthdays, graduations, and special events in their lives. You’ll get plenty of chances to taste Braai when you visit South Africa. 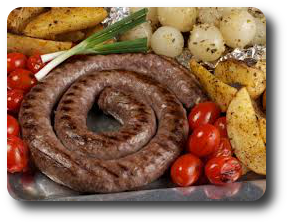 Boerewors (Pronounced bur-eh-vors). This is the most important meat for your braai and practically a national institution. It looks similar to Italian sausage with a very distinctive flavor. But don’t call boerewors “sausage” in South Africa, or you’ll get a hot dog! No self-respecting South African would consider a braai without boerewors, and here’s a tip. You can brush your ‘wors’ with Mrs H.S. Ball’s Chutney before putting it on the braai! Rooibos tea (Pronounced roy-boss). The rooibos plant is native to South Africa, and the leaves are used to make one of the country’s most popular drinks — rooibos tea. 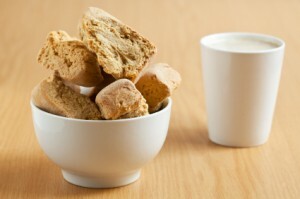 It’s often served in the same fashion as black tea with milk or sugar, although it is caffeine-free. Rooibos tea is becoming popular around the world for its health benefits, including its antioxidants and phenolic compounds. It’s said to help with tension, allergies, and digestive issues. Bunny chow. The recipe for bunny chow is simple: curry with mutton, lamb, chicken, or beans in a hollowed-out bread loaf. It’s a delicious treat unique to Durban that dates back to the 1940s. Here are a few tips for ordering your bunny chow: It comes in a quarter, half, or full loaf. According to local slang, simply ask for the size and the kind in one short phrase. If you want a quarter loaf of mutton, say “quarter mutton.” Oh, and yes, Mrs Ball’s Chutney goes well with bunny chow, too! Biltong (Pronounced bill-tong). 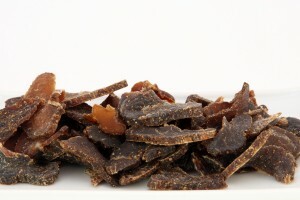 This is the national snack of South Africa, and is similar to beef jerky, although it can be made from a variety of meats, such as beef or game. This is eaten at sports games, at home, and anywhere. Bobotie (Pronounced bor-bor-tee). This is a dish of minced meat with egg topping, similar in consistency to meatloaf. It was among the first dishes created in South Africa that takes influences from both the East and West, and the result is a spicy, flavorful dish. Bobotie has a mild curry flavor and is eaten with rice and Mrs Balls Chutney. If you’re getting the idea that Mrs. Balls Chutney goes with a lot of foods, you’re right! South Africans are known to put it on everything, from bobotie to scrambled eggs. Braai, bunny chow, bobotie — I’m hungry just thinking about it! Which would you want to try first in South Africa? Let us know in a comment below. 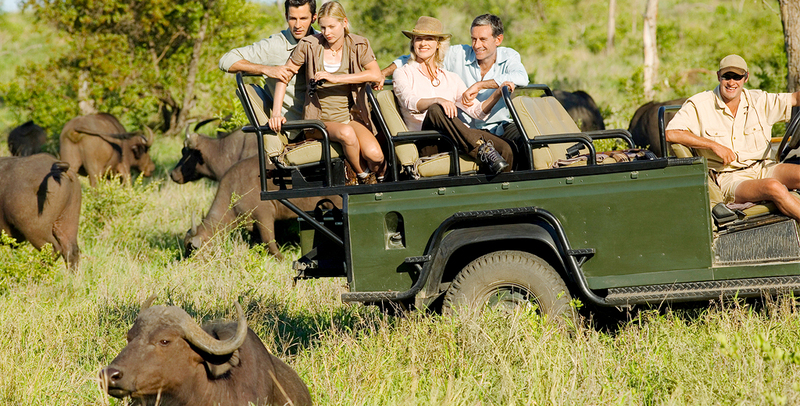 In case you missed it, we just announced our Win Wild South Africa Sweepstakes! We’re looking forward to sending a lucky winner and guest to witness the majestic scenery and cultural richness of South Africa. While there are literally hundreds of unique and exciting things to see and do in this amazing destination, I contributed my personal list of top 10 adventures and activities to experience in South Africa in a recent article on Huffington Post. In my opinion, our winner (and anyone else thinking of traveling to South Africa) absolutely must see each of these magnificent wonders! Read my article to get all the details. Would you add anything to my list? Let me know in a comment below. Today I want to share a blog post from my friend and our Product Development Manager at Friendly Planet, Judy Poliva. 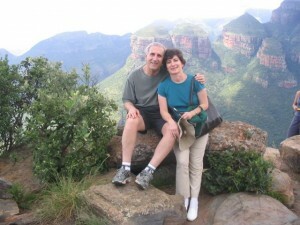 Judy grew up in South Africa, the destination at the center of our Win Wild South Africa Sweepstakes. I asked her to fill us in on what makes South Africa so special and she delivered, so read on. After you’re finished, be sure to enter to win a free trip for two to South Africa on our Facebook page (now closed)! When we were children growing up in the Johannesburg area, we didn’t realize how lucky we were. 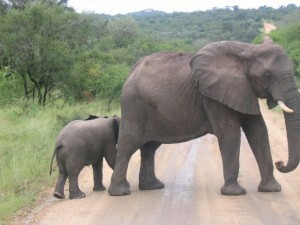 We lived within driving distance of the Kruger National Park! Almost every year during our winter school holidays (July), my parents would pack up the car with supplies, and we would head off on a self-drive safari, for a week or sometimes two. As we got closer to the park, my sisters and I would start practicing game-spotting by looking at the herds of cattle. But once we entered the park, the competition started in earnest: who could spot the first animal (this was usually an impala), the first giraffe, or a lion! This was a daily, all-day competition, and we never tired of it. On our journey home, we missed being on the constant look out, and the cattle didn’t seem so interesting anymore. We would be ready at dawn to start out on our game drive as soon as the gate opened. At every rest stop, we listened carefully as travelers shared their stories of what they had seen, so that we could head off there as well. We also had to remember to close all the windows so that the vervet monkeys or baboons didn’t try to steal our things. If we saw some cars in the distance, we headed in that direction. Or we drove around, hoping to get lucky. At night, we would watch wildlife films in the open-air theatre at the camp or listen to a lecture by a game ranger. We would fall asleep listening to the sounds of roaring lions not too far away, and wake to the gentle coos of the bush doves. One of the most memorable of my childhood experiences was in the northern region of the Kruger National Park, a more remote area that had only one-lane dirt roads. There was no other car in sight. We came around a corner, and the road dipped down a sharp incline to a dry river bed and then up an equally sharp incline. 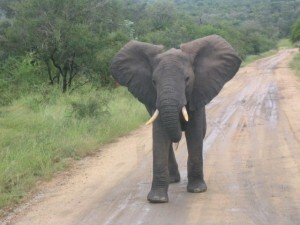 As we neared the bottom of the dip, an elephant walking along the dry river bed started crossing the road. Then, another and another and another, a seemingly endless stream of these huge, majestic creatures. There must have been more than 10 elephants of all ages. Suddenly, one of the larger elephants looked in our direction and raised its trunk, flapped its ears, and took a few steps in our direction. My father put the car in reverse and we slowly went back up the hill. My sisters and I were shrieking with a mixture of excitement and fear. The elephants eventually decided we weren’t so interesting after all. They continued their journey, and disappeared into the bush once more. Once again, we were alone on the road. How would you Like to win a trip for two to the sweeping savannahs of South Africa? If you dream of driving into the African bush in search of the Big Five game or gazing at open grasslands while being treated to warm, welcoming hospitality, then have I got a special treat for you. We’re giving away a free trip for two on our Facebook page in partnership with South African Tourism and South African Airways to one of the world’s most coveted destinations: South Africa! Breathtaking and magnificent doesn’t even begin to describe the scenery and wildlife travelers experience in South Africa. And you could see it for yourself in person. Just visit our Facebook page, Like us, and enter your information to enter to win this prize, worth up to $5,400! Round-trip, non-stop airfare from JFK or IAD to Cape Town Airport via South Africa Airways. This includes fuel surcharges, taxes, and fees. Flights, ground transportation, and transfers within South Africa. Six-night accommodations in a first-class hotel and game lodge. Ten meals total: six breakfasts, two lunches, and two dinners. Professional, English-speaking guides and game rangers. Four game drives at Entabeni Game Reserve. Are you ready for the trip of a lifetime? Can you already picture yourself on safari in South Africa? Well read the full itinerary of the trip and then enter to win. Don’t forget to invite your friends to enter — and make sure they bring you if they win! You also earn an extra entry for every friend that enters through your invite, increasing your chances of winning. The sweepstakes will close at 11:59 p.m. on October 11, and we’ll announce the winner soon after. Good luck, travelers!